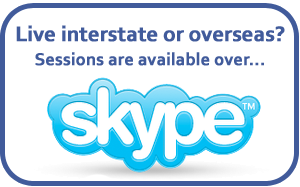 Click here and receive 30 minutes of your first session FREE! Having a lot of negative thoughts? In a cycle of frustration, negative internal dialogue and over-analysis? Catastrophising over the past or what might happen in the future? These thoughts and feelings can become so dominant; anxiety and depression start to feel like your normal state of being. 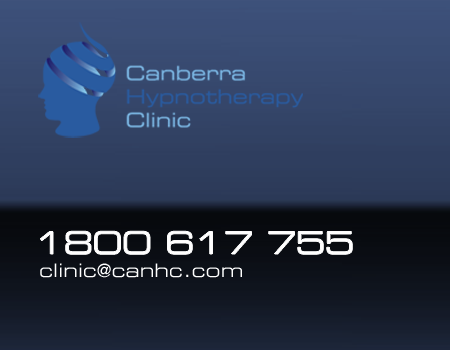 Hypnotherapy is highly effective in dealing with the mental processes of compulsive patterns. It deals with the cause of compulsions like smoking, drugs, excessive drinking, bingeing, gambling, shopping and obsessive disorders. Fears, phobias, insomnia, the habit of worry, over analysis, being highly strung, feeling stressed, dental anxiety – hypnotherapy can assist you to understand and concur anxiety. hopelessness, helplessness, burn out, exhaustion, lethargy, the habit of worry – hypnotherapy can assist you to overcome depression. Find out what hypnotherapy can help you with. I was in a very dark place when Spiro & Stella entered into my life, I was anxious and apprehensive, I had tried psychologists and I didn’t have any answers. Taking the plunge I opened up and let the two guide me through dealing with some of the problems that had haunted me some since childhood others more immediate. It was very easy to open up to them, I never felt uncomfortable and everything moved at a pace I set. Moving forward I feel as though Spiro & Stella definitely gave me the tools and guidance I needed to move forward. That said my life which was at a stand still then has moved forward in all aspects be it personal, emotional and professional. My family have always been good drinkers and I have picked up that habit too. So I went to Spiro to see if I could cut it down to just a glass of wine or not even want it at all. It was a big ask as I had a family function that night which normally has meant a wine bottle gone! After the one session I was able to sit on one and a half glasses easily. By the second session I could just have one glass and feel good about myself. A week later and I’m very happy with the results! IT’S TIME TO BREAK THE CYCLE! 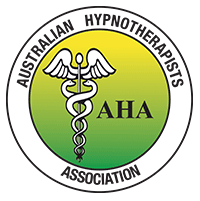 Hypnotherapy bypasses the conscious mind and targets the source of the problem. The unconscious mind holds the processes, which cause of our problems as well as the solutions. In trance, we are all more relaxed and receptive to change. The mind is plastic and is always growing, changing and adapting to circumstances. Hypnotherapy uses the power of your unconscious mind to reconnect you with solutions, create new pathways of thinking and find a fresh perspective. Think of hypnotherapy as being your personal GPS, which guides your unconscious mind to a destination point. This might be to release anxiety, improve performance or achieve certain goals, which have always felt out of reach. Hypnotherapy recognizes that you already have everything you need –it’s just a matter of redirecting thoughts in a more positive direction. Hypnotherapy is about reorganizing and deploying your own internal resources to let go of the past, resolve issues and find solutions. It is skill building, allowing the mind the time and space to make beneficial connections during a state of trance. Hypnosis is scientifically proven method of educating the mind that allows the conscious and unconscious minds to believe the same message. Hypnotic suggestions bypass the conscious or rational mind and zeroes in on the unconscious mind. The process is similar to reprogramming the hard drive on a computer. The unconscious mind stores all the programming (processes) and potential. With a new suggestion that is within the bounds of a person’s belief system and moral orientation, the unconscious mind accepts it literally as a new reality. Hypnotherapy uses the minds ability to re-program attitudes, reactions and perspectives for the purpose of positive change. Hypnosis is a safe and effective method of building new behaviours and tapping into the best ways of dealing with situations, creating positive results.